Anna thank you for taking part in this interview. Could I start by asking what Avantskill is? 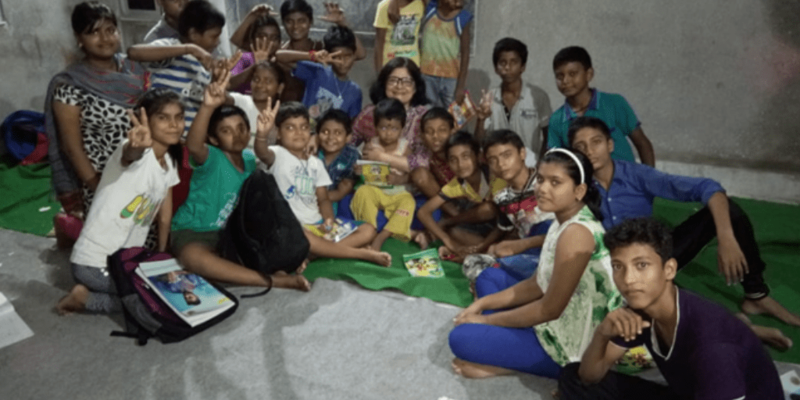 Avantskill is a not-for-profit initiative that works towards providing English language education and digital literacy for the most underprivileged children and women in Kolkata. 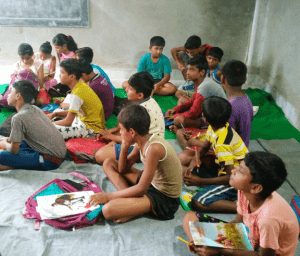 These students live in the slums of Kolkata, come from the lowest classes whose fathers and mothers work in the most menial jobs if they work at all for very little money. The word Avantskill is a combination of avant garde and skill. It implies a new and experimentl way of teaching English by going directly into the slums and teaching mostly conversational skills which will help them to survive economically in the future. Why do you offer only conversation? In India, there is a general misconception that English is all about learning grammar rules and structures We aim to break the stereotype and encourage free learning as well as facilitate learning English contextually. We believe that everyday social interaction plays a pivotal role in learning anything may it be science, maths, music or language. It is important to be able to relate to what we are learning and be able to use it in an engaging and interactive way. Avantskilll emphasises the use of conversational English on the basis of interests, aptitude and needs of the student. For example, a student who is very good at maths can share with the class something new he has learnt, this not only helps interaction but also imparts knowledge. Other students can learn something new in maths, not only that, even trainers can learn from the student. Hence, at Avantskill trainers work as facilitators. They provide these children with support they require to enhance their existing knowledge and encourage them to use English as their primary mode of communication. We believe that this process enables them to use the language freely and without any fear. Furthermore, we believe that this helps destigmatise English language learning, which is a barrier that many students of lower socio-economic strata in India face. They simply don’t feel confident or competent enough to hold conversations about anything, leave alone having those conversations in English. At a very basic level we help students to do simple things like opening a bank account, being able to sign their names,reading and understanding simple application forms, learning numbers, using basic phones, if not smartphones, etc. independently. This is extremely important and urgent, many of these women struggle for basic livelihood as well as face a lot of marginalisation and oppression. How long has Avantskill been going? I set up the charity myself six months ago. We are based in Kolkata at the moment and my dream is that we can replicate this model project in other parts of india. For me, Avantskill is a combination of my experience as an EFL trainer and lessons of empathy that I have learnt from my personal life. Hence, it gives me the opportunity to reach out to many people with difficult circumstances and give them the support and guidance that I never got when I started my career. At the moment we teach children and women but I hope to extend the classes to teach men in the future. Did you always want to be a teacher? Well, funnily enough I started out as a singer. My dream as a teenager was to be a singer trained in classical Indian music. I was doing quite well when sadly I found myself alone with a seven year old daughter to bring up and educate. I had to quickly abandon singing and take a lowly and poorly paid job as a clerk which brought in just enough money to feed us and pay for my daughter’s school. But then it seems you got a lucky break. I did and I will be forever grateful to the people who helped me, because one day I was given the opportunity to move to England with my daughter. As unplanned and unprepared as I was for that move, it changed the course of our lives. We moved to Oxford which is a beautiful city and while I still had financial hardship, I was able to make use of the Oxford County Council free English language teaching centre and with some time and patience I developed a new and unexpected career as an EFL trainer myself. I found my vocation! But then you decided to return to India. Yes personal circumstances made me return but I don’t regret the move, because while I was in England I was slowly developing an idea to open a charity in India to teach English to underpriviledged children and their mothers. I had a strong desire to give back to my community in some way and as I truly believe that children are the most beautiful creation of God, I wanted to help poor children get better jobs and have a better life for themselves and their parents. I had experienced struggles through the lack of economic mobility but fortunately my English language knowledge had enabled me to succeed in a way many women and children cannot. I felt I wanted to make a difference. How is the charity funded? Currently it is a self-funded project. I fund it from my own savings through some online and corporate teaching. I also have donations from my mother and daughter. I am planning to start fundraising soon and find some sponsors. I suppose I will have to go knocking on digital doors very soon. At the moment Avantskill runs on very little money and lots of hope, courage and determination. Do you have any help? I have two other teachers who work on a voluntary basis and we have five other members who help devote develop and sustain the project. How many people are you currently helping and where do you carry out the training? At the moment we have over fifty students who attend classes regularly at the free community club of their colony in the slums of Kolkata. You have taken on an enormous task. I don’t look on it that way at all. But I can tell you that it is difficult to describe in words the feeling of contentment and satisfaction I get when I see the joy in the faces of the parents as they thank me.